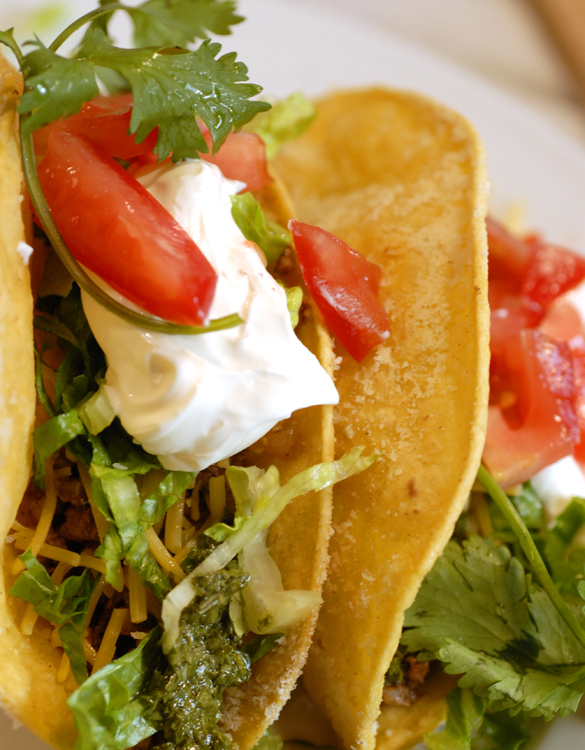 Growing up, we always loved Mom’s tacos. Part of reason we would request them so often is she used a secret ingredient to make them extra tasty. Well, maybe it isn’t so secret but it sure adds a lovely flavor to this very Americanized dish! The secret ingredient…..Parmesan! Heat a tablespoon of oil in a saute pan over medium-low heat. Cook onion until soft. 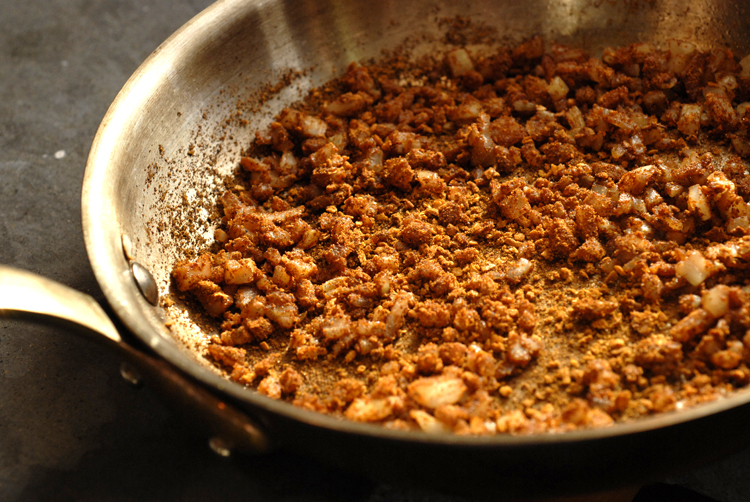 Add packet of taco seasoning and stir until fragrant. Add beef and cook until brown, drain fat. Pour in a cup of water and stir to combine. Bring to a simmer and reduce heat to low. Stir occasionally. Meanwhile in a non-stick skillet add enough oil to submerge tortillas, about an inch, over medium heat. To determine your oil’s temperature, tear a small portion of an extra shell and place it in the heated oil. The torn tortilla should instantly simmer and begin cooking. 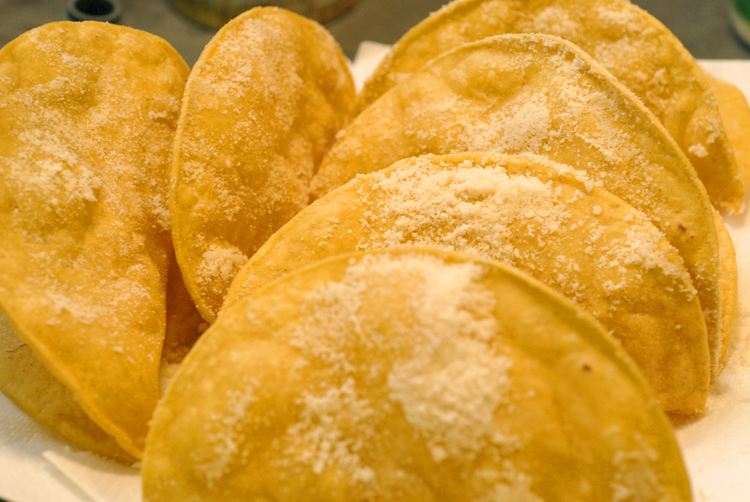 When oil reaches temperature fry one tortilla at a time turning and folding into a taco shape. 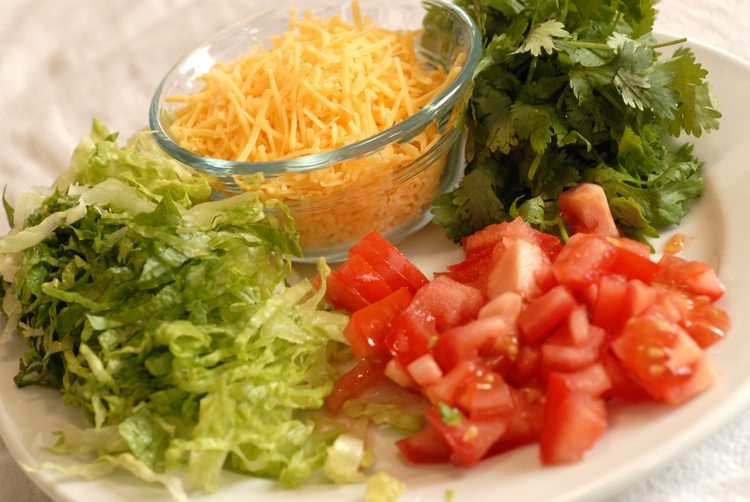 Drain each tortilla on a plate lined with paper towels and shake Parmesan all over the outside of the shells. Fill with beef and desired garnishes. ¡Sabrosos! This entry was posted in entree, recipes and tagged american, comfort by MixedSoup. Bookmark the permalink.